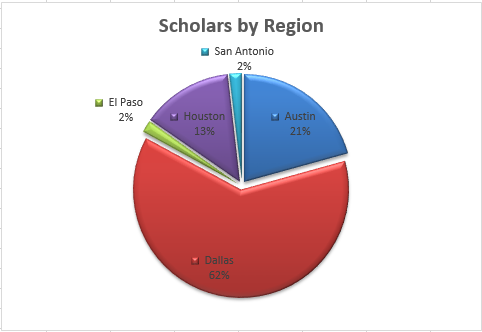 Terry Scholars are a unique mix of individual scholars from varied backgrounds, locations, and stages in life. 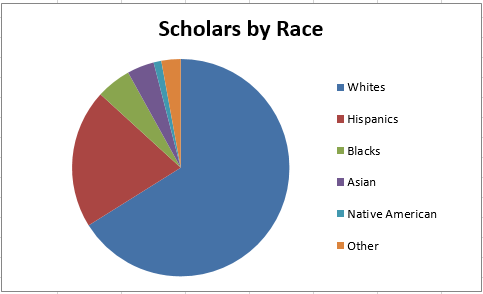 The Texas Tech Terry Scholars reflect the geographic diversity of the candidate pool. The strong female bias is typical of Terry programs at other universities as well. The pool of candidates and thereby scholars come to Texas Tech from all over the state. See the Scholar Pages for specific hometowns.